In 2017 the G9V team weren’t able to take part in the CQWW CW contest, and I received an invitation to join the M6T team over in Suffolk. This was my first Multi-op multi-radio experience. 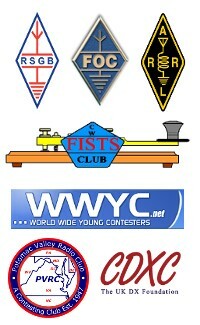 I was to be one of a 2 man team in charge of the 80M station, along with fellow ‘youngster’ Simon M0CLW. At our disposal we had a Four-Square in the field and a dipole at 90 feet. The rig was a K3. 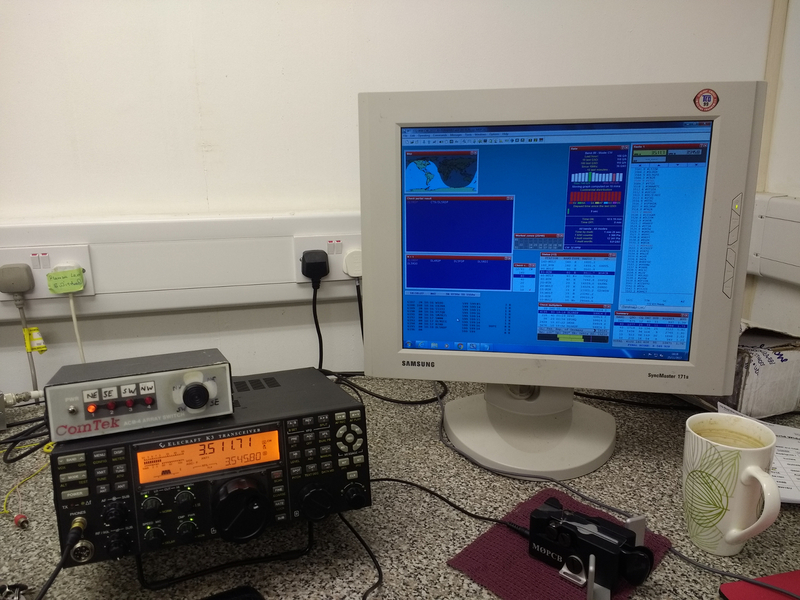 The operating position at M6T on 80M. I arrived at site at around 6pm on the Friday evening after having taken the day off to pack and travel. The journey took 5 hours, though was largely uneventful. After a pre-contest curry, home cooked by Gerry G(I)0RTN we set about testing the station and I made a few QSOs on 80M under my own call. From midnight we started in earnest and took 1 hour shifts through til after dawn. Simon took the last shift as I went to bed around 0700. 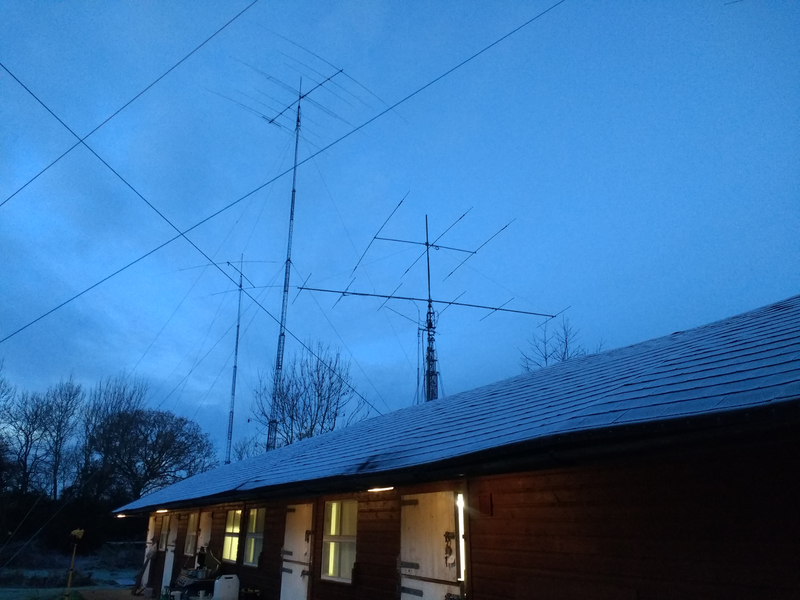 The m6T shacks and some antennas at dawn, it was cold. Sleeping through until late afternoon on Saturday meant that I only saw dawn and dusk that day, and then resumed the 1 hour shifts all the way through Saturday night until around 0700 on Sunday morning. Then some more sleep and finally getting up for the final evening again in late afternoon. Not long after midnight we called it a night and got some more sleep, up and ready for helping to pack the station down on Monday morning. Just around lunch time I set off on the 5 hour journey home. Which again was uneventful. 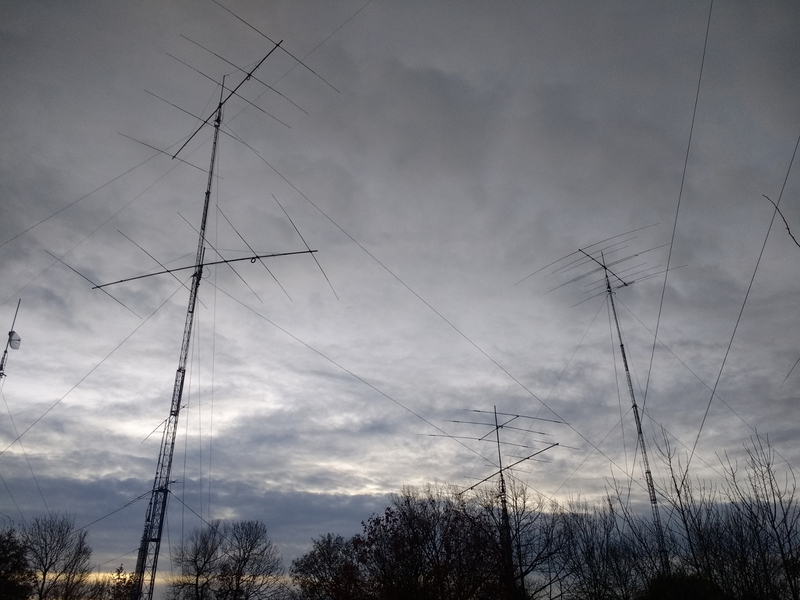 Some more M6T antennas, this time at dusk. We were gunning for the UK record, and it looks like that we succeeded. My thanks to the M6T team for a great contest.